It started today when Kushal told us in #fedora-art about his brand new Wacom tabled and how he want to learn to use it. 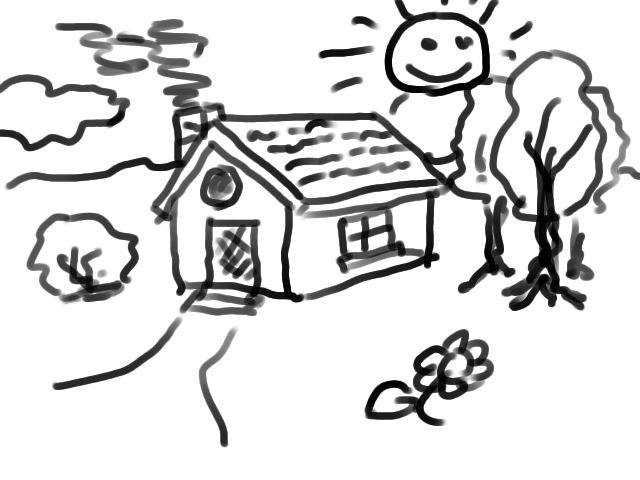 Obviously, his first drawing was a simple house, drawn in the most traditional kindergarden style. Fun! Now here is the thing: we know Fedora 12 rocks on tablets, so we have a meme for harmless Friday fun, all of you in the community having a tablet, plug it in, start GIMP and draw a kindergarden style house and post it (at least Mo and Kaio are tablet owners, so I count os some follow-ups). OT, but I want to thank you for all your cliparts... Especially the comic ones rocks! Thank you very much for sharing them!